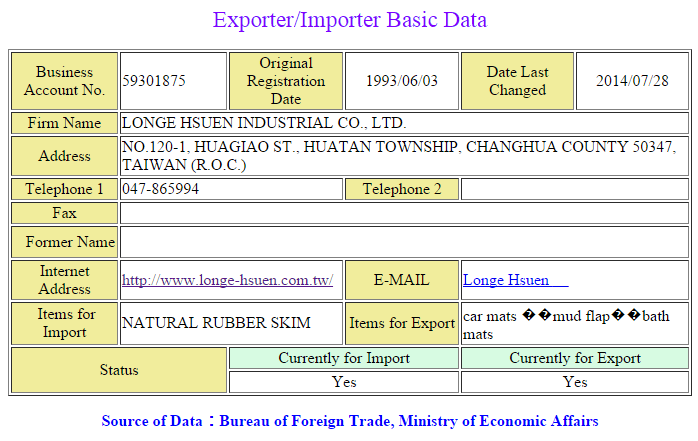 Longe Hsuen Industrial Co., Ltd. was founded in 1982. We manufacture Rubber mats, Mud flaps, multi functional mats and rubber & PVC products that come in a wide range of designs. All the rubber products are made of Natural Rubber and synthetic rubber, and we own the ability of developing new products. As an industry-leading manufacturer, our quality products, competitive price structure and customer service have earned us a good reputation and has enabled us to reach markets all over the world. At the same time, we are an OEM manufacturer. Our quality products have been approved and promoted by many famous companies, importers and chain stores, such as ISUZU, OLDSMOBILE, CHINA MOTOR, FORD, and AMG, and so on. In order to produce better rubber products, we have developed a special odorless synthetic product. Our R&D department always knows what customers want, so create the newest and stylish products. All OEM designs or products are welcome, we have confidence to fit your request and our products are well accepted by you.